This Sentry Safety stainless steel finger door handle can be used with panic or emergency exit door. This Stainless Steel Finger Pull Handle is secure and easy to install. The compact design and stainless steel construction make this handle a secure accessory for any door - it is difficult to tamper with because of its small size and durability. This Sentry Safety model is also easy to install as it comes with a pre-cut hole to accommodate the cylinder locks that come with many emergency exit bars. 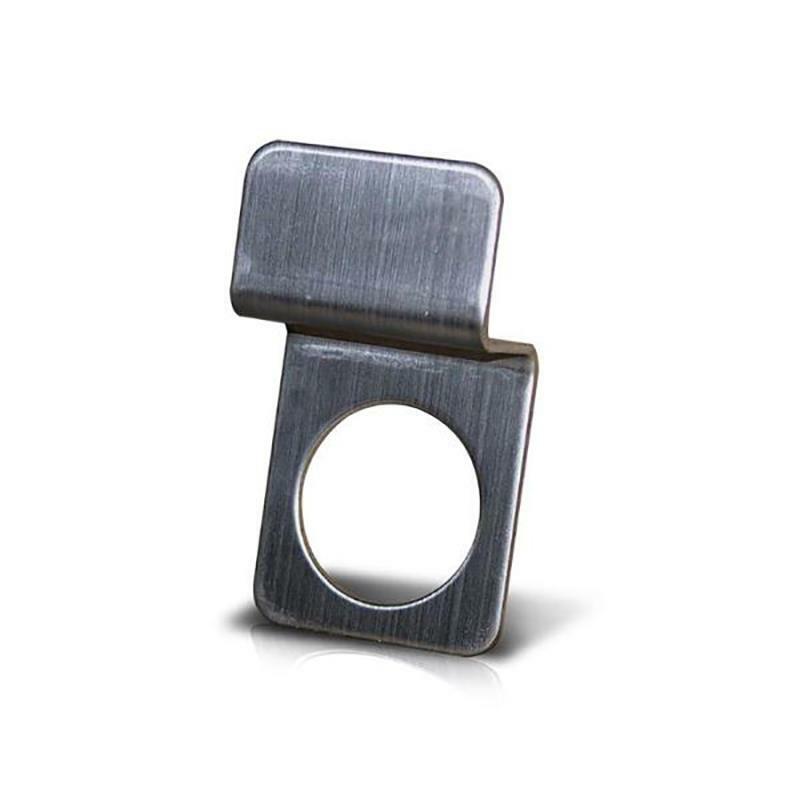 This handle is designed to be used with emergency bars that come with dogging , a function that can be set to keep the bar in a depressed position, remaining open. Only when the dogging is turned on can this handle be used to open the door. 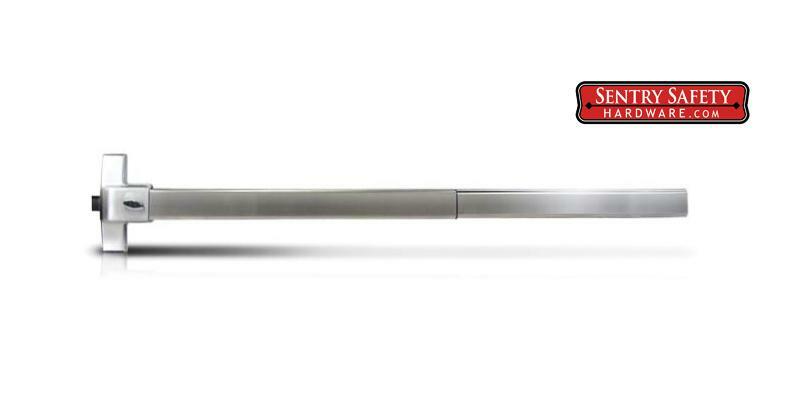 Sentry Safety recommends using the 300 and 500 series emergency bars with this handle, which is designed for outside, low traffic entryways, such as those found in warehouses.